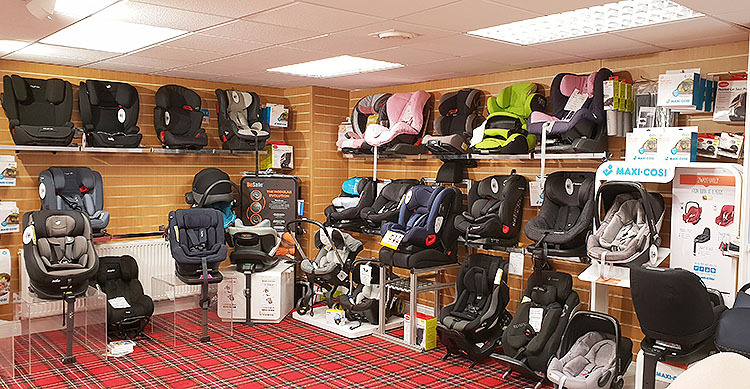 Jan Stewart Pram & Nursery offer a great range of various top branded car seats, baby car seats and children's car booster seats, ensure your child is safe, legal and secure in the car. Our car seats are fully regulation-compliant and we hold a large stock of infant car seats, isofix car seats, baby carriers and combination seats. Our experienced, knowledgeable staff members can advise you of the best car seat solutions for your child and your particular car type. Why not visit us today and have a look at our great choice of car seats! Plus Many More Brands In-Store including Joie, Maxi-Cosi, Nuna and others!